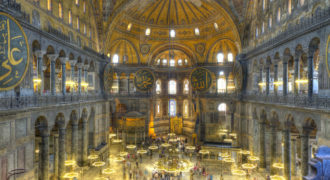 For the Christian Turkey offers nearly all the history of the early church. Many are surprised to find out that St Paul was born in what we now know as Turkey; the city of Tarsus being in the east of the country. 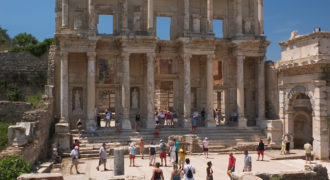 Ephesus is not only the church that the Apostle Paul spent so much time at, but is also arguably one of the very greatest Roman Cities in existence. Archaeologists also agree that it was close to the Roman remains of the ancient city that Mary the mother of Jesus died. 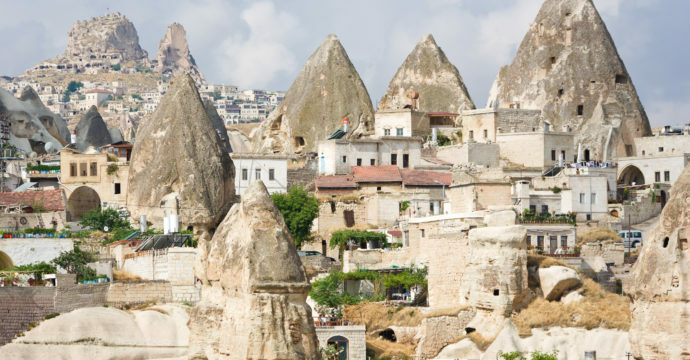 Cappadocia … simply visually stunning and extraordinary, but also where the very earliest 1st Century churches have been found, as well as over 40 cities which are entirely underground. Scholars believe up to 20 000 believers lived in just one city. These places were the homes of the very first Christians as they tried to live in peace without being discovered by their Roman persecutors. Visiting just one of these cities is an experience never forgotten. Istanbul … undoubtedly one of the most colourful and extraordinary cities in the world. East meets West here as you cross the Bosphorus… the world’s largest Bazaar, three Suk’s make it a shopping experience 2nd to none. Great sites include the Topkapi Palace and the Blue Mosque. Visit the ancient sites of Turkey, rich in history and religious significance. A tour led by excellent guides that will really enlighten, inspire and inform you with all this adventure. Words can not describe the extraordinary sites that you will see on route. Not to be missed. Visit the ancient sites of Turkey, rich in history and religious significance. A tour led by excellent guides that will really enlighten, inspire and inform you with all this adventure. Words can not describe the extraordinary sites that you will see on route. The wonders of Cappadocia is just one of the highlights .